Mike: just left Miraflores it seemed really nice. We unfortunately didn't get to see a lot of it as we were sick for our entire stay. We did get to go down to the coast to glimpse the Pacific and wander round town a bit. The streets are a lot quieter and feels a lot safer, with plenty of restaurants and bars. The hostel, Kokopelli, is set in the centre above a restaurant. The dorm is nice and soon fills with people. There is a roof top bar which is really cool, it has table football, massive Jenga and the roof is draped in flags from different countries with the low walls offering excellent views of the Miraflores skyline. (also got a chance to watch El Classico, which was quality - especially in 26 degrees of sun). We left early this morning to get our bus to Huancayo. The best bus we've ever been on, we got ourselves a first class ticket which gave us leather seats on the first row on the second floor. Wi-fi, air con, tv, foot stalls, fully reclining, the works, all for the bargain price of £18. 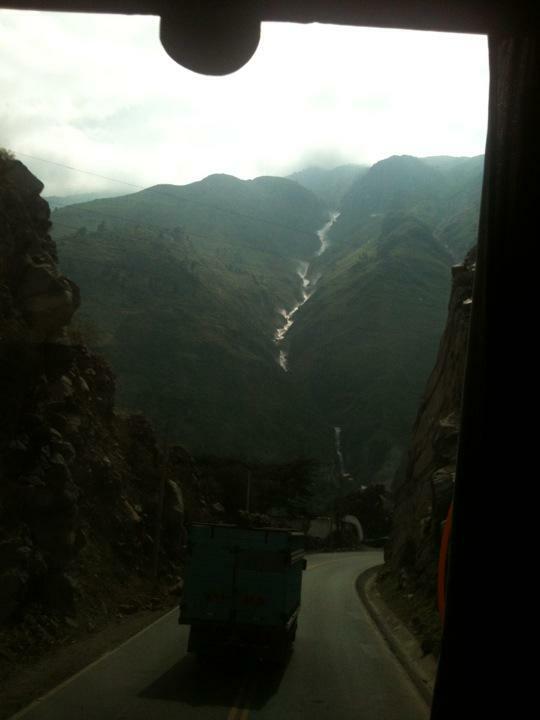 Well 7 hour to Huancayo. Time to see a bit more of Peru.